We have a terrible habit of never leaving enough time to explore the city we land in when we visit a new country. So when we found ourselves with only 24 hours in Lima, Peru, we had to make some tough decisions on where to go and what to see in this incredible city. We had our Peru gear packed and loaded, and when we landed after midnight and made a trip straight to our hotel, the Dazzler Hotel, Lima where we slept for a few hours before joining our hosts Lima Discover to find out about the best things to do in Lima with kids. Lima is a big city. The capital of Peru is home to almost 8.5 million people. And it stretches out along the Pacific coast for miles in each direction. 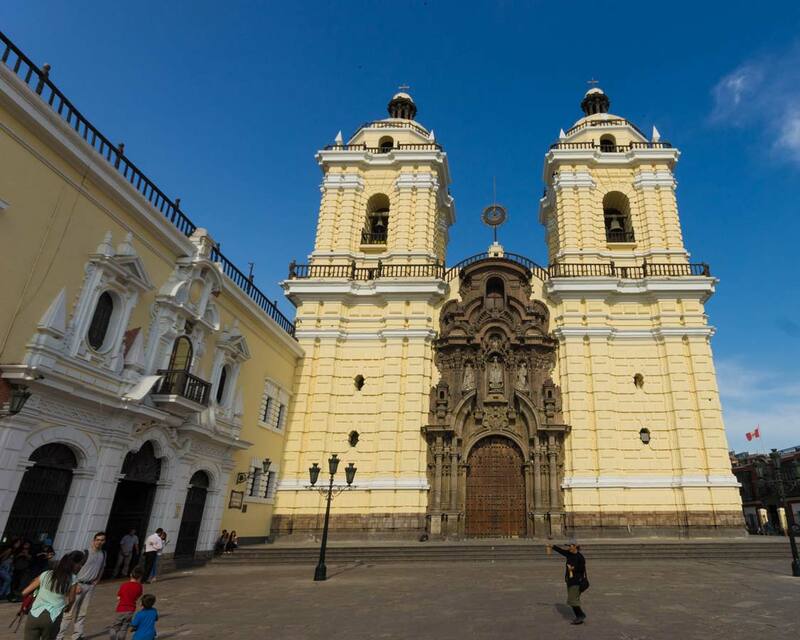 Lima is famous for its food scene, Spanish history, and pre-colonial cities. And it offers an incredible blend of both the past and present. I’ll be honest, 1 day in Lima is not enough. But sometimes you have to play the cards you’re dealt. And when you’re trying to experience a country as epic as Peru, but with only two weeks available, we had to make some tough choices. We wanted to get a good taste of the best Lima attractions. And we really wanted to get a taste of the breadth of what Lima has to offer for family adventurers. You can read our entire two-week Peru itinerary here. Our first stop during our 24 hours in Lima Peru was the seaside Chorillos District. This region is famous for its luxury resorts, beaches, and seaside restaurants. The region is beautiful. And the rocky shores gave us a great idea of what to expect the next day when we visited the Paracas Nature Reserve. And after exploring, it’s no surprise why. The region offers sweeping views of the coastline. The Chorillos district has a deep history on display as well. The region was a focal point of the War of the Pacific where much of the Chorillos district was completely destroyed by Chilean invaders. And monuments to the terrible losses during the war are on display at the top of Morro Solar. 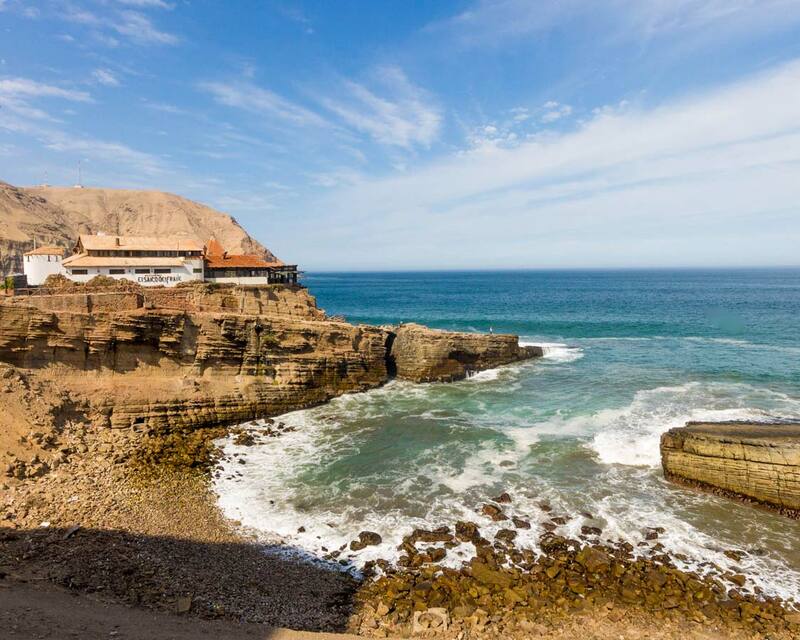 This towering rock also offers some of the most incredible views of Lima. I addition, Morro Solar is the location of a popular planetarium. After exploring Chorillos, we decided to escape the traffic of the city’s core and use part of our 24 hours in Lima, Peru to get our first taste of the country’s Incan history. 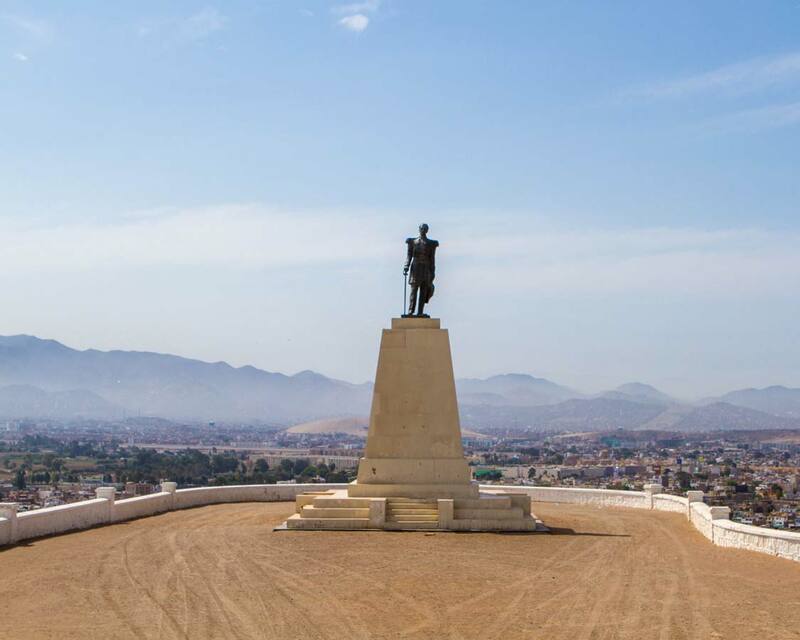 Pachacamac is about 31 km from the city centre, but it feels like a different world. 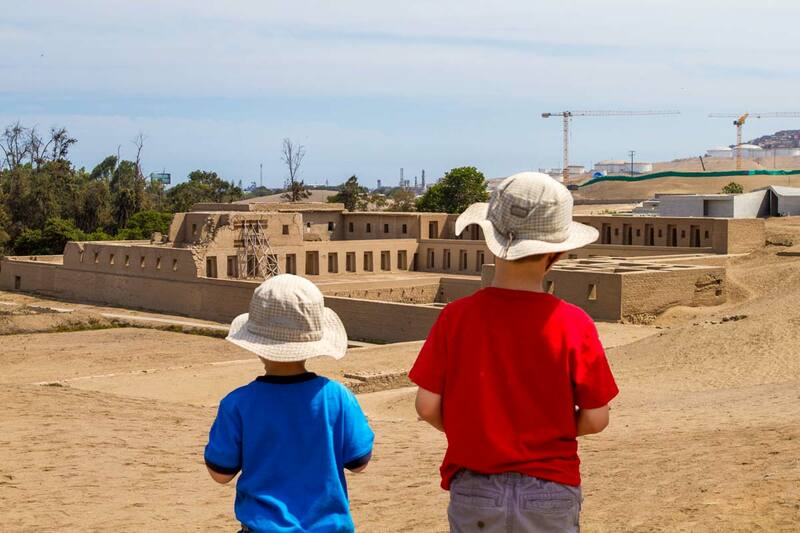 The Pachacamac ruins in Lima are one of the unique places to visit in Lima, Peru. The ruins of Pacacamac Peru date back to 100 AD. And while the adobe facade of the citadel blends with the beige sand of the surrounding desert landscape, the grounds of this complex tell a deep story of the country’s history. Our first stop was in the Pachacamac museum, where we met our Pachacamac tour guide. We were introduced to many of the relics that have been discovered at the site. On display were everything from beautiful blankets, pottery, religious symbols, and jewelry. The boys had a very hard time not touching the brand new glass casing of the displays. Touching even the glass of the displays was “strongly discouraged”. After learning about the history of the ruins, we went out to explore the sprawling grounds. It’s possible to walk through the grounds, but this is an entire city. So joining a guide and taking the supplied vehicles around is a much better option. The grounds include the Acclawasi, or house of the chosen women (shown above), and the Temple of the Sun. To bring the human element of the Pachacamac ruins home, the grounds were littered with human bones. The former residents buried their dead within the city, and over the years, erosion, weather, and looting have brought a number of the remains to the surface. Needless to say, the boys had many questions as we passed by femurs, jawbones, spines, and pieces of skull. After getting our first glimpse of a Peruvian ruin we headed to downtown Lima where we spent the rest of our day. Plaza Mayor in the Historic Centre of Lima is the heart of Peru’s government, as well as the official birthplace of the country. The plaza itself is huge. And features a fountain dating back to September 8, 1651! The area is surrounded by parliamentary buildings, cathedrals, and of course the presidential offices. This is where we saw a parade of police passing by. The boys were fascinated by the procession. And Plaza Mayor in Lima is not just about government and monuments. The area is full of life. The streets are lined with open-air restaurants and cafes. This is where we stopped for lunch. Streets are often filled with performers, dancers, and artists. 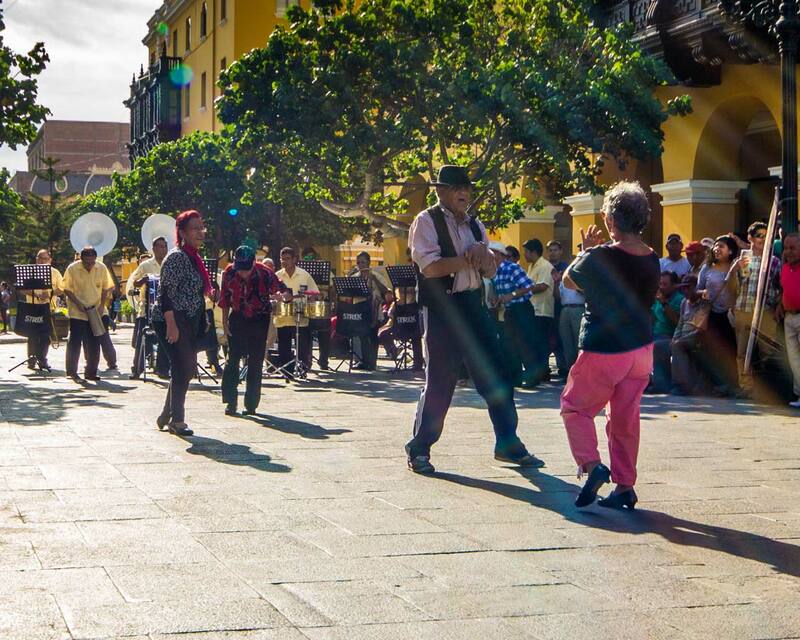 And while having lunch we were regaled by a wonderful band that caused people to dance in the square. Plaza Mayor is definitely a wonderful place to explore and get a feel for how proud Peruvians are of their country. One block northeast to Plaza Mayor is the San Francisco Monastery. This beautiful building was finished in 1674 and is considered one of the most iconic designs in South America. The monastery offers 30-minute tours. The tours show off the incredible gardens, libraries, and historic paintings that the Monastery has acquired over the centuries. There is no photography or videography allowed within the monastery though. So unfortunately I’ll have to leave you with this photo of the outside. To the left of the Monastery of San Francisco are the Catacombs of the San Francisco Monastery. These catacombs, discovered in 1943, contain thousands of human bones and are one of the top Lima attractions. The bones are intricately displayed throughout various underground rooms and chambers. While D was completely fascinated by all of the designs. C was a bit more hesitant. Our final stop for the day was something we were really looking forward to. 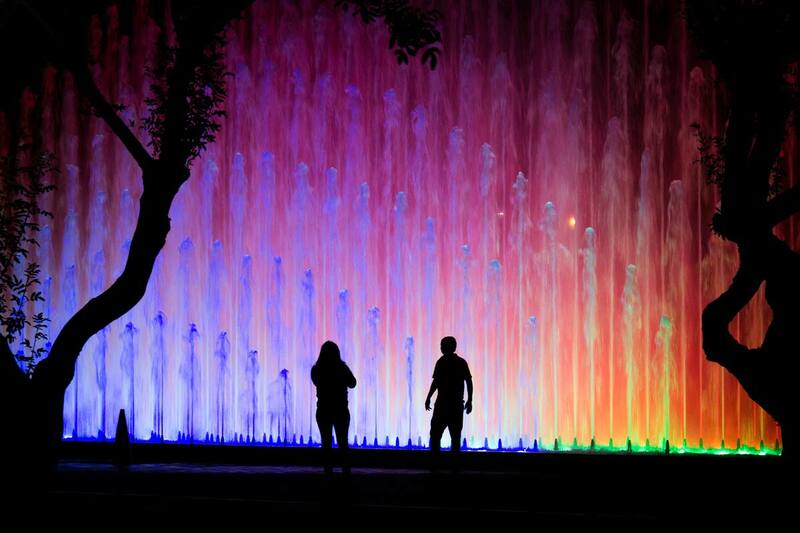 The Magic Water Circuit, Lima (The Circuito Mágico del Agua) is a series of illuminated fountains in Central Lima. In fact, the Magic Water Circuit is ranked as the largest public water fountain complex in the world. At 19 acres, the Magic Water Circuit huge. And it is also an inexpensive activity in Lima. Unfortunately, our ride forgot about us that night. And we were left waiting at our hotel. When we were researching what to din in Lima, Peru for a day, the Magic Water Circuit stood out as exceptional. But we are really looking forward to the chance to return to Peru and experience the Magic Water Circuit. Photo used under Creative Commons License. Photo by Latin Discoveries. We retired to our room and ordered some room-service to dull the pain of missing out on the Magic Water Circuit. But knowing that we needed to be up at 4:00 a.m. to explore the top things to do things to do near Lima. We were heading to Paracas Nature Reserve to see one of the most incredible wildlife scenes in the country. And then on to the desert oasis of Huacachina Peru where we try our hands at riding dune buggies and sandboarding through huge sand dunes. We chose to stay at the Dazzler Hotel, Lima during our three nights in Lima, Peru. The hotel was excellent. It was comfortable, with a patient, and attentive staff. The Dazzler hotel, Lima features a fantastic breakfast which was highly appreciated by all of us, especially the boys. You can check the rates and availability of the Dazzler Hotel, Lima here. 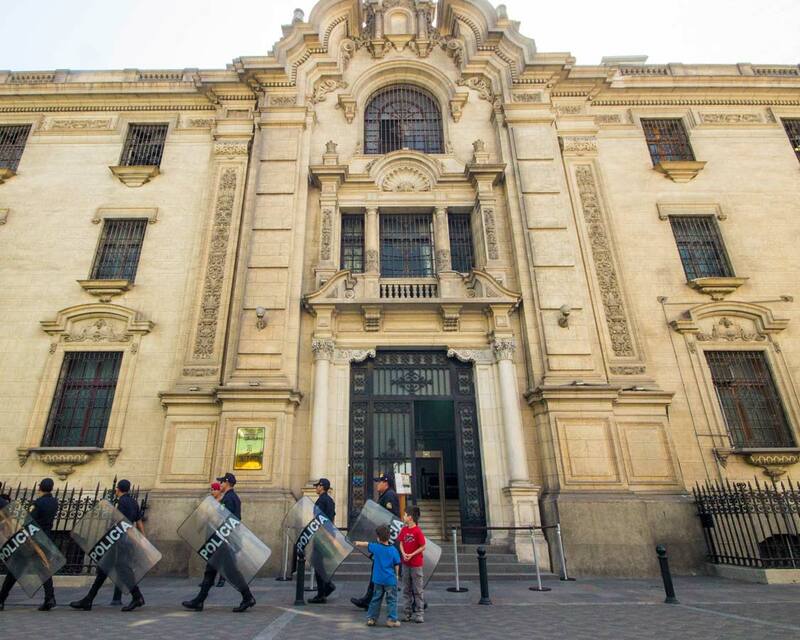 Do we Recommend Spending a Day in Lima, Peru for Kids? Absolutely. Lima is beautiful! 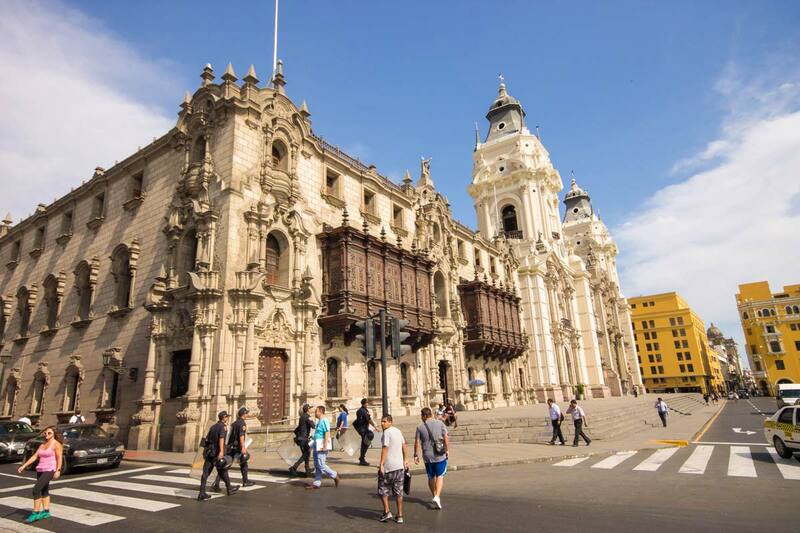 And Lima offers a wonderful taste of the vast culture and history that the rest of Peru has to offer. 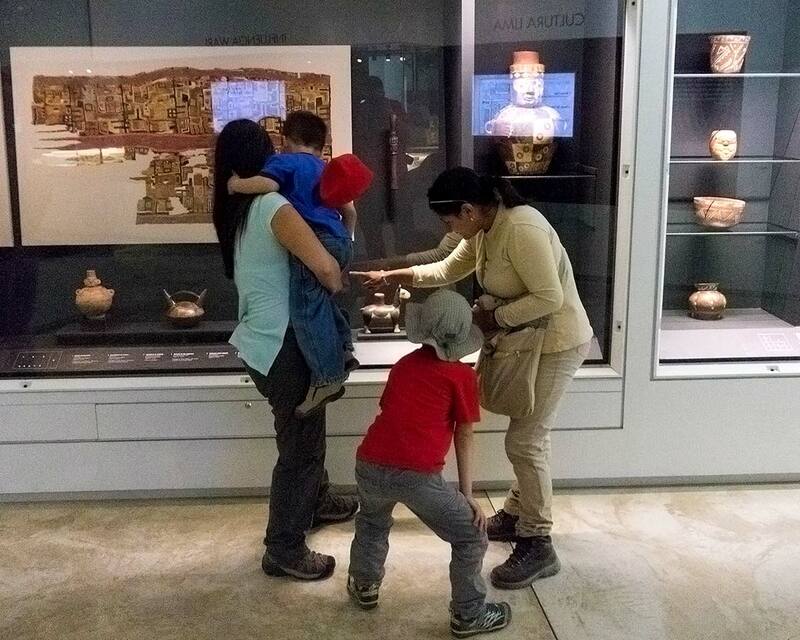 And there are so many things to do in Lima with kids. One day in Lima can be filled easily. In fact, for those who are lucky enough to visit for longer, we just scratched the surface of all the great activities. We highly recommend at least two days in this amazing and historic city. That will give you more time for some Lima sightseeing. 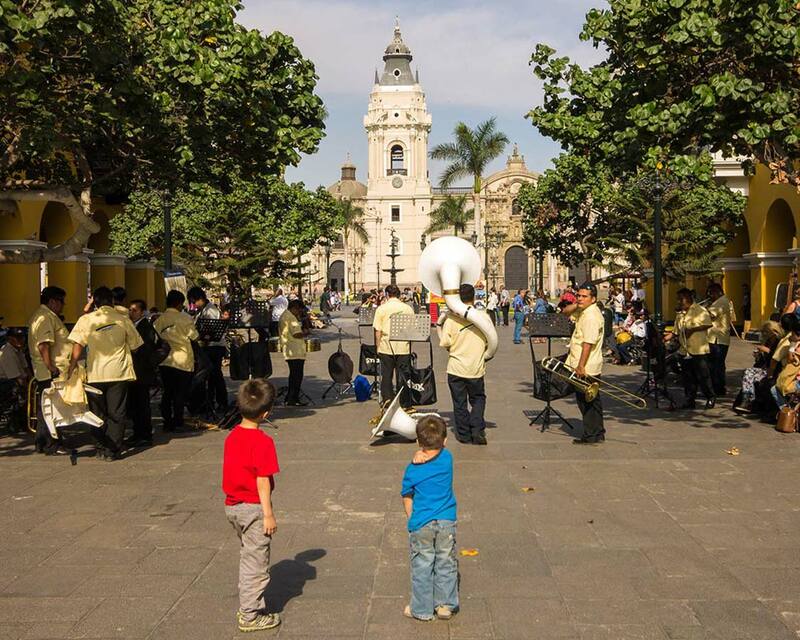 Have you ever explore Lima, Peru with kids? Tell us about it in the comments, or send us an email from our contact page to tell us all about it. Wow you guys did a lot in one day. I would definitely want to see the ruins, the cathedral and the catacombs! There might be too much historical/architectural offerings in the city for my brood, but the catacombs and magic water circuits look fantastic. You sure packed a lot in, in one day! Interesting. I had missed Pachacamac. Would have loved to take the side trip to explore the ruins. I love the Plaza Mayor and Mira Flores. It was soo cool to see all of the Paragliders darting about off the cliffs. Loved the food in Lima too! I would love to see the Pachacamac ruins! Sounds like you definitely need a little more time in Lima, but you were very busy. I am so glad you got to Pachacamac. 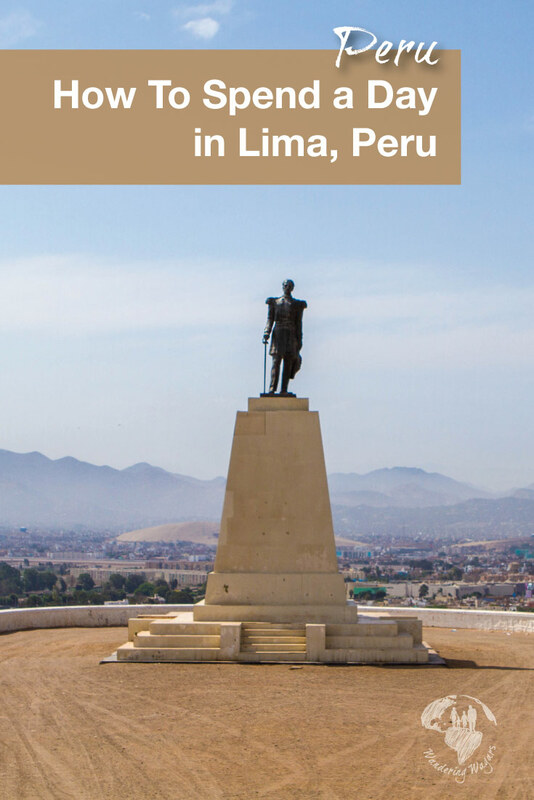 David and I spent three days in Lima a few years ago and Pachacamac was the highlight. There are also some mud pyramids in the city itself. They are easier to get too but not as extensive. So much to do in one day! I’ve never been to Peru – I’d love to go someday. 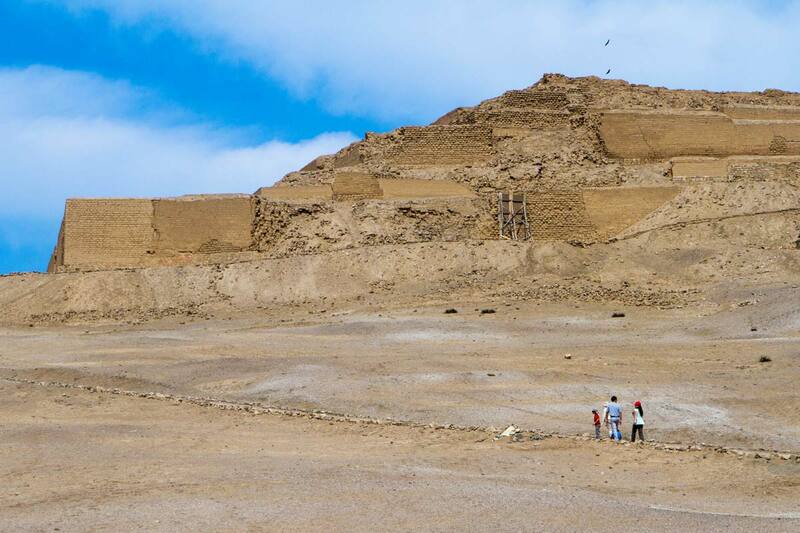 Would definitely visit the Pachacamac ruins, you don’t stumble upon human remains that often! Hope you return soon to experience the Magic Water Circuit. How old are your boys? You didn’t mention and we are thinking of doing Peru with our 3yr and 5yr old girls this year. Doable? Absolutely doable! Our boys were 3 & 6 during our trip to Peru. It was one of their favourite destinations! Wow this is an amazing place to visit! I never visited Peru before. Hope I will go soon!